Saudi jets have 'deliberately' bombed the Iranian embassy in Yemen in an air raid that wounded staff, Tehran has claimed today. 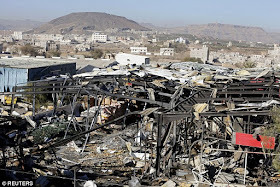 Warplanes struck the building as they pounded Yemen's capital Sanaa on Wednesday night, Iran claimed, as tensions with Saudi Arabia continued to mount. Iran's foreign ministry spokesman described the strike as a 'deliberate action' and a 'violation of all international conventions that protect diplomatic missions'. 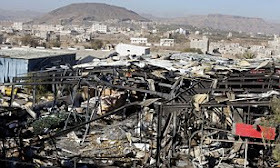 The Saudi-led coalition fighting in Yemen will investigate the accusation, according to the group'sn spokesman Brigadier General Ahmed Asseri said. 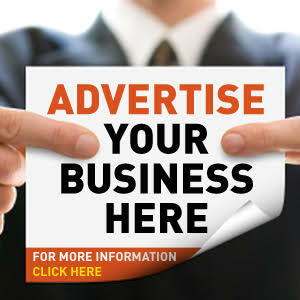 Coalition jets carried out heavy strikes in Sanaa on Wednesday night to target missile launchers used by the Houthi militia to fire at Saudi Arabia, he said, adding that the group has used civilian facilities including abandoned embassies. Asseri said the coalition had requested all countries to supply it with coordinates of the location of their diplomatic missions and that accusations made on the basis of information provided by the Houthis 'have no credibility'. 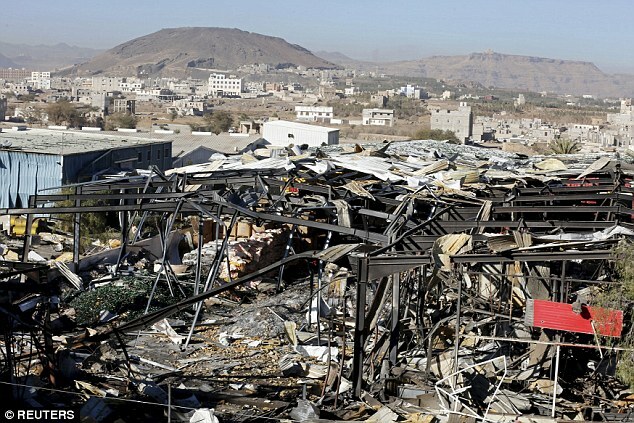 But witnesses in Sanaa said they could see no damage at the Iranian Embassy and that it was still standing. A full-blown split between Sunni-majority Saudi Arabia and Shiite-dominated Iran erupted at the weekend when Riyadh executed prominent Shiite cleric and activist Nimr al-Nimr. 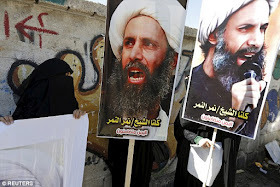 Nimr's death sparked demonstrations in many countries including Iran, where protesters stormed and set fire to the Saudi embassy in Tehran as well as the kingdom's consulate in second city Mashhad.